Flowers are amazing organisms and there are some incredible facts about these beautiful additions to our homes and gardens. They are able to withstand some extremes of weather to reappear year after year in our gardens and parklands. Flowers haven’t always been in existence and research suggests that they first appeared over 140 million years ago after trees and ferns. There have been many uses for flowers during this time and they have also featured in invasions and other key moments in history. For example, when the Vikings invaded Scotland hundreds of years ago, they found it difficult wade through the patches of wild thistles that are found naturally in the landscape. This is one of the key reasons why the thistle is the national flower of Scotland. Going back further in time, the ancient Egyptians considered the lotus flower to be sacred and it was used in their burial rituals. 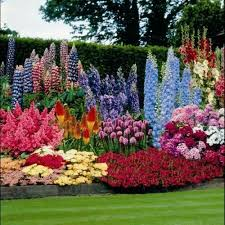 Due to the way that the flower grows it was seen to be symbolic of the eternal life and resurrection. 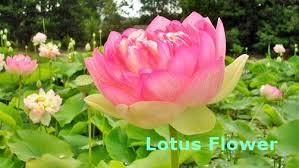 This is because the flower grows in rivers and wetlands and flourishes in the water. When there are times of drought the flowers effectively lie dormant and wait until the conditions are just right to reappear and bloom once again. Aster leaves were used in times gone by to ward off evil spirits. The leaves were burnt in the home or outside, wherever the evil spirits were thought to be spending their time. In the past bluebell flowers were used to make glue by extracting the juice from the plant. Dandelions are often seen as a weed in the plant world, but they are in fact incredibly high in a number of vitamins such as vitamins A, C and also high in iron, potassium and calcium.